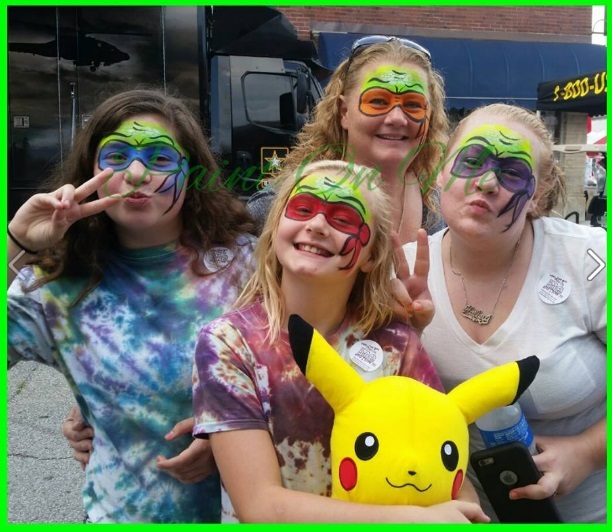 Paint On Me - Face Painting ﻿ OMG!18 faces painted(up to 18 full faces or 20 1/4-1/2 faces)1 hour/1 artisitPrices start at $125 November through May and start at $135 June through October. *Booking requests require a $50 non-refundable booking fee, which is deducted from your balance. **Add $1 per mile to any package more than 20 miles from zip code 60409.﻿ ***Add $65 to any package for an additional painter per hour. Prices start at $125 November through May and start at $135 June through October. *Booking requests require a $50 non-refundable booking fee, which is deducted from your balance. ***Add $65 to any package for an additional painter per hour. Not the blah face painting you often see. 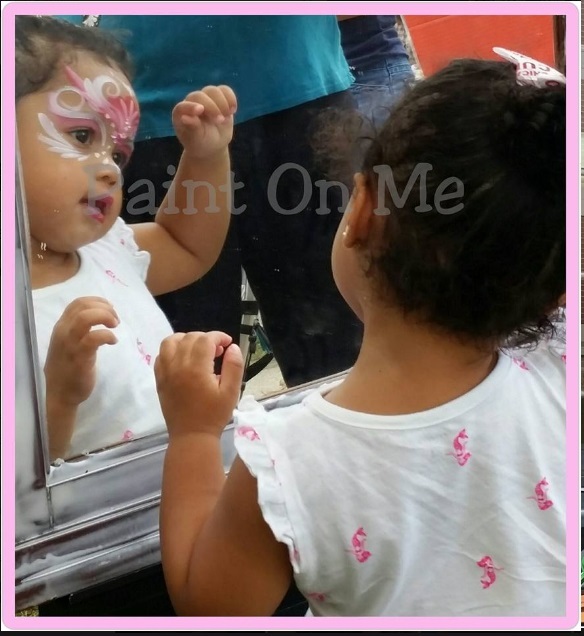 Once our Paint On Me team paints a face, a smile inevidably appears because of the love in each stroke of her brush. The inspiring words we speaks as you are being painted, enlightens you to leave our chair with a smile. The products used are safe and gentle. All ingredients are non-toxic and hypoallergenic and FDA approved. 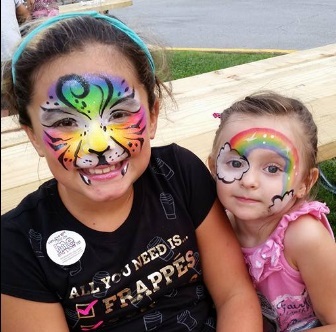 Face Paint can be easily removed by rubbing with wet wipes, or a wash cloth with mild soap and warm water. 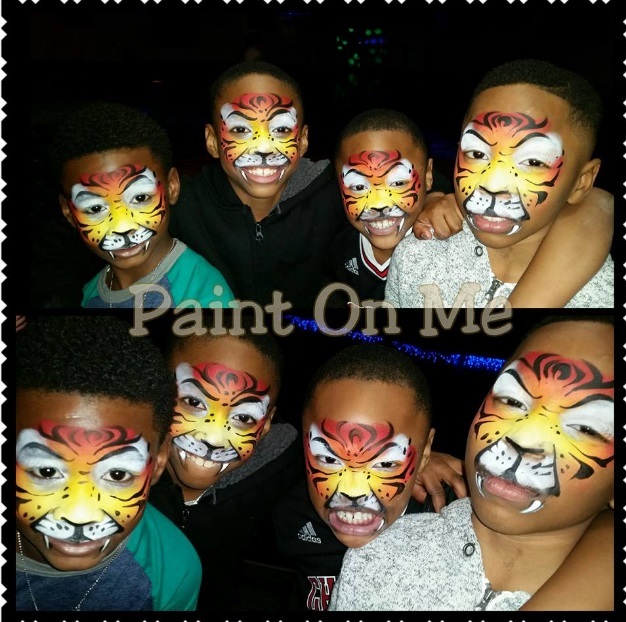 Paint On Me will surely be a hit at your next event regardless the occasion. Inspiring for your motivational/spiritual event. Healthcare fairs or Hospital visits, rehabilitation centers, retirement homes and Childrens Hospitals Family Days. *See our "Health Benefits of Smiling" tab. We also assist in fund raising ex., Churchs or Block Clubs, please call for more info.